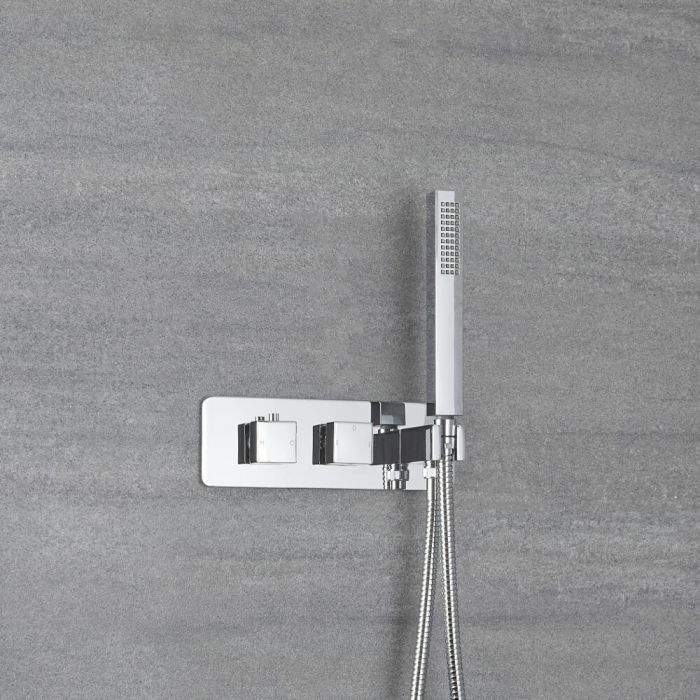 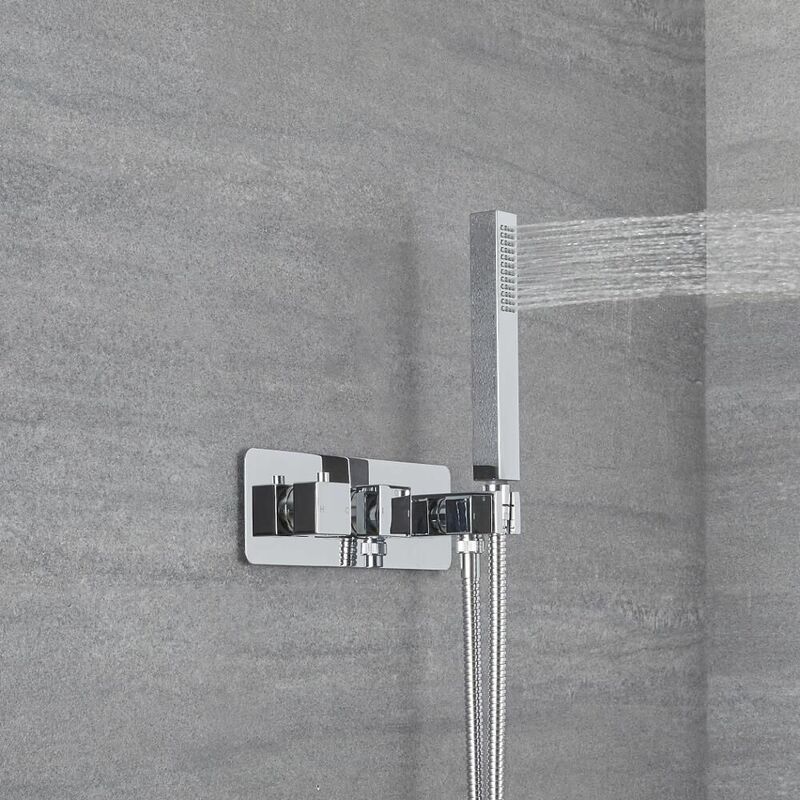 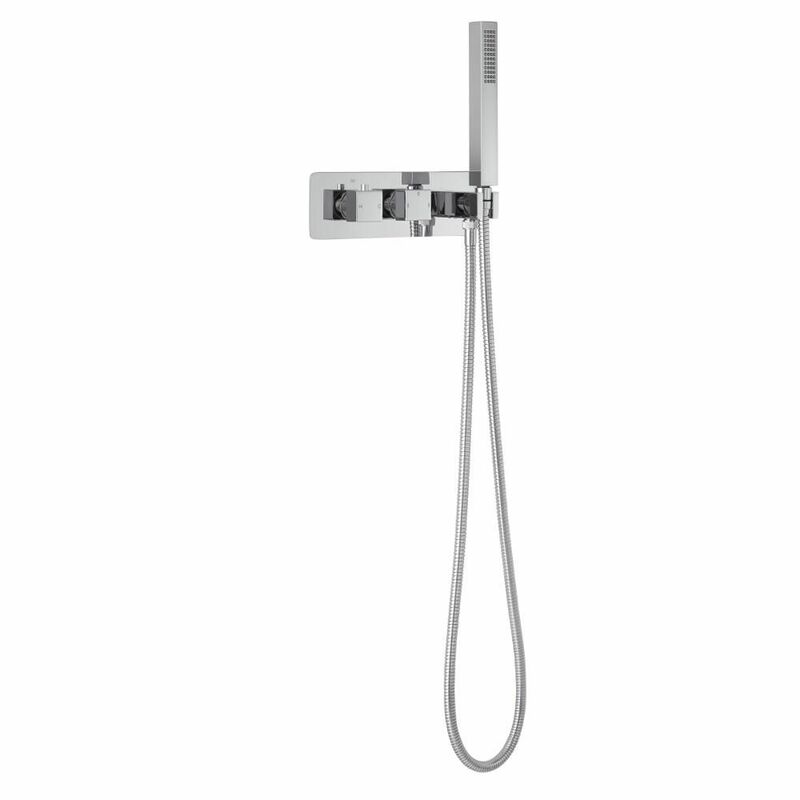 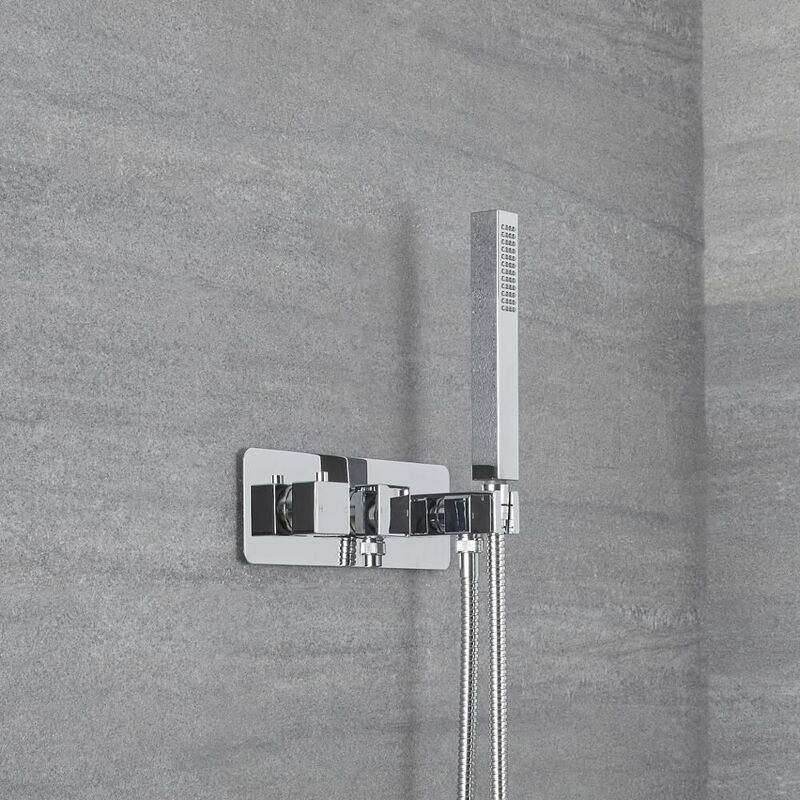 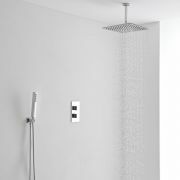 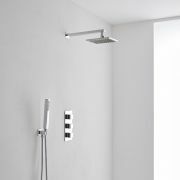 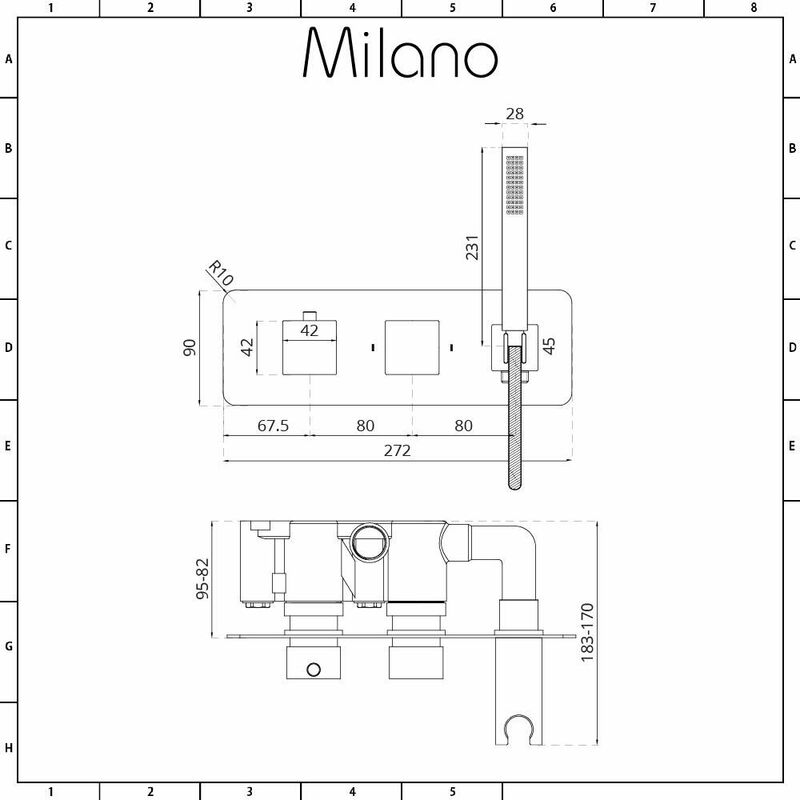 Add smart, modern style to your bathroom with the Milano Arvo twin diverter thermostatic shower valve and hand shower. 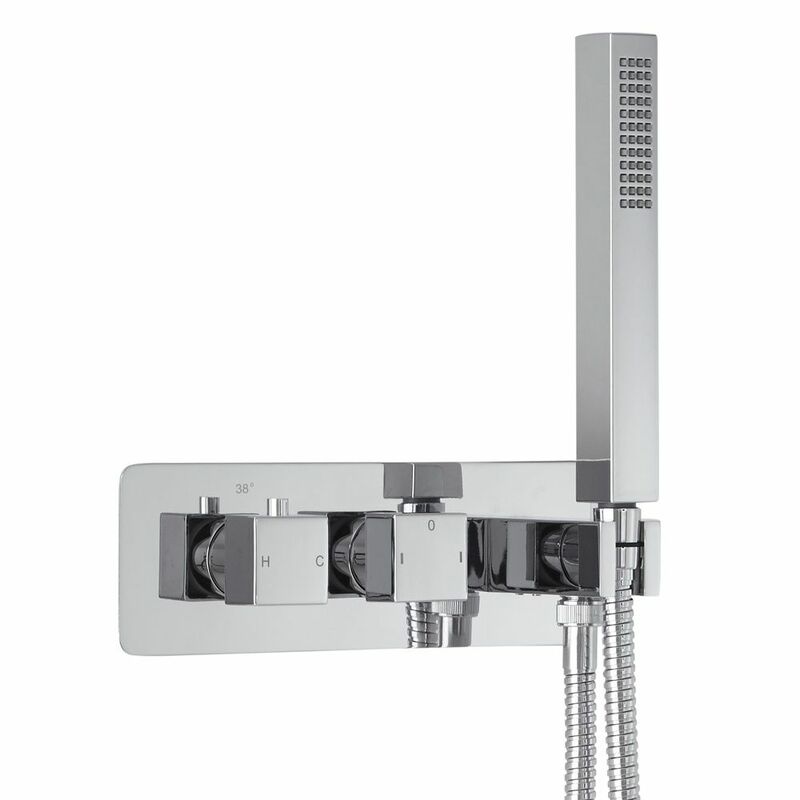 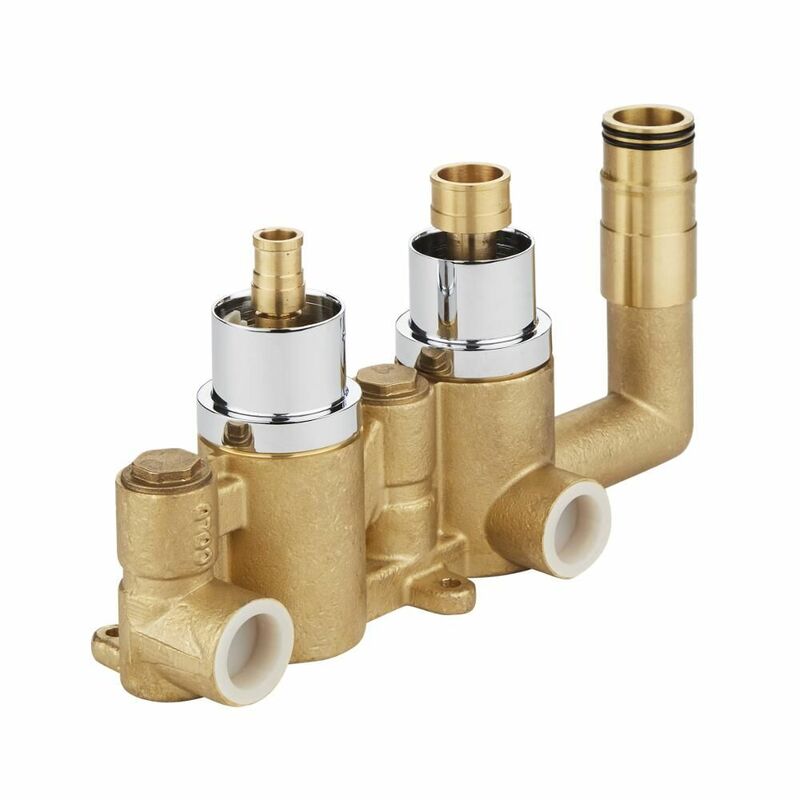 Made from brass, the shower valve features square handles and a brilliant chrome finish. 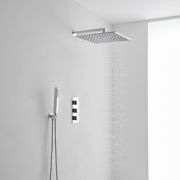 It incorporates ceramic disc technology to prevent leaks and drips, while the anti-scald technology ensures a safer showering experience. 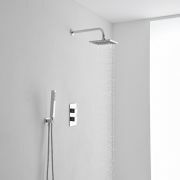 The hand shower can easily be removed from the holder so you can rinse and clean around your enclosure or bath with ease. The hand shower has easy to clean silicone nozzles, and it includes the 1.75m hose.